Ingredients: Sugar, Honey, Almonds, Skor Bits, Dark Chocolate, Milk Chocolate, Olive Oil, Cannabis. These yummy bars with Almond and Skor Bits are a popular choice for those seeking relief from body pain and stress. Very potent product so please use with caution. 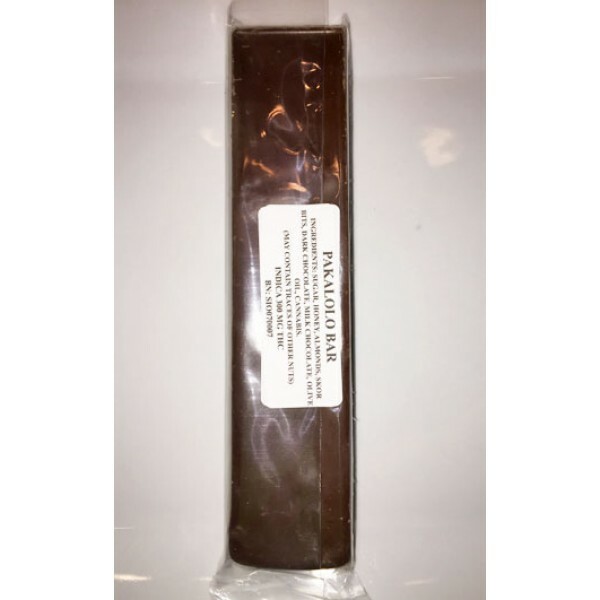 Each Pakalolo Bar contains 300mgs THC - Indica Ingredients: Sugar, Honey, Almonds, Skor Bits, Dark Chocolate, Milk Chocolate, Olive Oil, Cannabis. 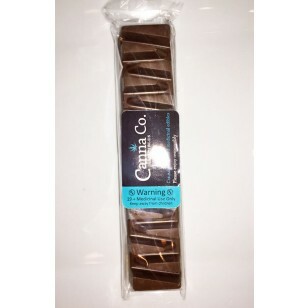 These yummy bars with Almond and Skor Bits are a popular choice for those seeking relief from body pain and stress. Very potent product so please use with caution. ** May Contain Traces of other Nuts ** DISCLAIMER: This product may MELT during the summer months. Though we do provide ice packs when shipping, we can not guarantee the condition of this product by the time it arrives to you. We recommend ordering during colder months of the year to avoid melting. Please do be advised that even through melting, the medicinal properties of this product are fine and the product may still be safely consumed after the product has been cooled.